A thoughtful procedure is over, aimed at choosing the most beautiful of 40 nice games played at different points of the globe in 2006. It was honest open voting by significantly extended gathering of our respected experts. Your experienced columnist was deeply touched when seeing summed figures. Many pairs and groups of nominated games differ by minimum number of points or do not differ at all. And first of all it concerns two laureate games. The two main candidates for the 'Masterpiece of the year' title reflect two different modern approaches to the conception of chess beauty. A greater half of the duel Topalov – Aronian (Wijk aan Zee) has been prepared in an analytic retort. The game Zvjaginsev – Zhang Pengxiang (China – Russia, Ergun) is, so to say, 'strawberries grown by one's own hands'. But let us interrupt for introducing High Tasting Committee members. and also Alexandra Kosteniuk and Ekaterina Korbut + Ekaterina Kovalevskaya duet (they reached a consensus and sent a common list). I bring my great gratitude to all of them and return to the theme of the report. Well, there are grandmasters and masters, including our jury members, who believe the outcome pre-determined by home preparation to reduce aesthetic value of a game significantly. Just for this reason, Topalov has 10 non-hits to the top ten of 23 versus Zvjaginsev's 5 non-hits. A large handicap, but take into consideration that Vadim's task over the board was much more difficult. 'At random as in taiga at night' after move 6 already. There are humanistic nuances also, intensifying admiration for Zvjaginsev's creative achievement. Before starting to read records, I give room to our experts. Sergey Ivanov: 'Topalov's victory over Aronian is, to my mind, the best illustration of modern "computer-human' approach which I should name "Kasparov's-Topalov's" one. A non-obvious novelty in a known theoretic variation, connected with a sacrifice for initiative as a rule, then powerful and aggressive pressure on the opponent, growing threats, accumulating positional or material dividends and elegant realization – these are the main features of the approach, and they all are present in this brilliant game'. Evgeny Gleizerov: 'An excellent win in Zvjaginsev's habitual style. The opening had been played, mildly speaking, without much pretension, but his opponent had to think himself since move 2. Positional sacrifices of a pawn and then of exchange make great impression. It only illusion that they are self-suggesting – really, it is very difficult to estimate the consequences over the board and to make up one's mind'. The 'physicists versus lyrists' competition in fact did not give any advantage to one of the sides. Getting 13 points for the 1st place, 11 for the 2nd, 9 for the 3rd, 7 for the 4th, 6 for the 5th... 1 for the 10th, Veselin Topalov scored 127 points (1st – four, 2nd – five, 3rd – one), and Vadim Zvjaginsev 126 (1st – two, 2nd – four, 3rd – one). 'Officially' declaring Topalov – Aronian the best creative achievement of the year 2006, I should make not the less official statement: if I must to award to Veselin some material prize, I would invite Vadim to the ceremony too in order to give him a precise copy of the prize. Main words are spoken, but let go down the list to see other interesting facts. The 'bronze medallist' is another product of high-tech: Karjakin – Anand (Wijk aan Zee). Vishy's bomb in Sicilian earned 90 points (1st – two, 2nd – two, 3rd – one). Evgeny Gleizerov: 'Young Ukrainian genius "got under the train", his position became hopeless just after two "own" moves. Possibly, a product of Black's home preparation – but the fact never reduces its beauty'. A 7-point reserve provides this game with rather stable position in final standings. No's 4 and 5 again differ by only one point! 4th place: Bacrot – Aronian battle (Morelia/Linares) 83 points (1st – one, 2nd – two, 3rd – one). 5th place: another fight without rules Shirov – Illescas (Pamplona) 82 points (2nd – one, 3rd – four). Sergey Ivanov: 'Bacrot – Aronian is fully opposite sight to Topalov – Aronian on playing chess. Aronian and Morozevich seem to me its most prominent apologists now. It bases on maximum departure from any standards and bearings, maximum complication of play, improvisation over the board. More invention and imagination in such play – more chances to win. The victory over Bacrot is a personal card of Levon Aronian as a representative of the "new generation"'. Nikita Vitiugov: 'An outstanding creative achievement of Alexei Shirov. White's play after 14.g6 deserves only admiration. Mating idea ¤b6, queen sacrifice, and, as the result, the pawn g6 moved to f7 and provided the win'. And the following three games go together, each combining strategic and tactical motives splendidly. 6th place: Svidler – Topalov (Morelia/Linares) 70 points (1st – two, 2nd – one, 3rd – one). 7th place: Adams – Topalov (Wijk aan Zee) 69 points (1st – one, 3rd – one). 8th place: Grischuk – ... no, not Topalov. Grischuk – Shirov (Tal Memorial, Moscow) 67 points (1st – two, 3rd – two). Perspicacious reader guessed already it was not easy to separate 9th from 10th place too. 9th place: Rublevsky – Mamedyarov (Aerosvit, Foros) 55 points (1st – one, 2nd – one, 3rd – two). 10th place: Georgiev – Nisipeanu (Eurocup, Fuegen) 54 points (2nd – one, 3rd – one). Mamedyarov's win is a striking example of "Kasparov's-Topalov's" trend, but with more human face yet: Shakhriyar applied his novelty before move 10. Konstantin Landa's opinion: 'A very strong game to my mind – to outplay Rublevsky in his own variation just from the beginning...' – is fully shared by the victim himself. I cannot but demonstrate with pleasure density of the results in the second ten, all the more that many games here find themselves at top strings of several lists. 11. Nisipeanu – Grischuk (Foros), 46 points (1st – one, 2nd – two). 12-15 (!!!). Mamedyarov – Volkov, team championship of Russia (1st – one, Landa: 'Pawn avalanche strategy astonishes even my computer-spoiled imagination'), van WelY – Topalov, Wijk aan Zee (2th – two, Bologan – Korchnoi, Gibraltar (2nd – one, 3rd – one), Petrosian – Minasian, championship of Armenia, Yerevan (3rd – one) – 39 points each. 16. Horvath – Johannessen (Fuegen), 34 балла (1 первое, 1 третье). 17-18. Belozerov – Galkin, Tomsk (3rd – two), Svidler – Carlsen, Spitzbergen (3rd – one) – 31 points each. 19. Kunin – Prosviriakov (Moscow, RGSU), 29 points (1st – one). 20-21. Morozevich – Moiseenko, team championship of Russia (1st – one), Kramnik – Bruzon, Turin Olympiad (3rd – one) – 27 points each. In conclusion – personal voters' lists and 'expert statistic' (they like very much to ask me – 'Well, how much I guessed right?'). Zagrebelny: 1. Topalov – Aronian, 2. Van Wely – Topalov, 3. 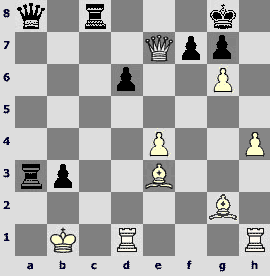 Bologan – Korchnoi, 4. Adams – Topalov, 5. Karjakin – Anand, 6. Shirov – Illescas, 7. Belozerov – Galkin, 8. Zvjaginsev – Zhang Pengxiang, 9. Georgiev – Nisipeanu, 10. Bologan – Volkov. Golubev: 1. Kunin – Prosviriakov, 2. Rublevsky – Mamedyarov, 3. 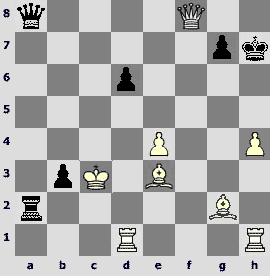 Adams – Topalov, 4. Van Wely – Topalov, 5. Svidler – Carlsen, 6. Shirov – Illescas, 7. Horvath – Johannessen, 8. Nisipeanu – Грищук, 9. Zvjaginsev – Zhang Pengxiang, 10. Nataf – Vachier-Lagrave. Barskij: 1. Morozevich – Shirov, 2. Zvjaginsev – Zhang Pengxiang, 3. Rublevsky – Mamedyarov, 4. Karjakin – Anand, 5. Kramnik – Bruzon, 6. Svidler – Carlsen, 7. Shirov – Illescas, 8. Гельфанд – Aronian, 9. Grischuk – Shirov, 10. Ivanchuk – Eljanov. Sherbakov: 1. Morozevich – Moiseenko, 2. Topalov – Aronian, 3. Nataf – Vachier-Lagrave, 4. Zvjaginsev – Zhang Pengxiang, 5. Bacrot – Aronian, 6. Petrosian – Minasian, 7. Georgiev – Nisipeanu, 8. Svidler – Carlsen, 9. Pelletier – Volokitin, 10. Adams – Topalov. Gleizerov: 1. Morozevich – Volokitin, 2. Shirov – Illescas, 3. Belozerov – Galkin, 4. Bacrot – Aronian, 5. 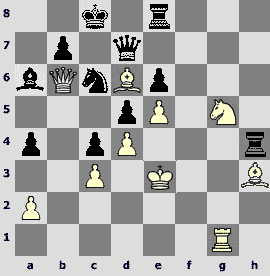 Bologan – Korchnoi, 6. Georgiev – Nisipeanu, 7. 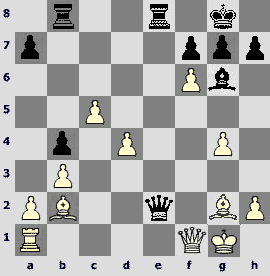 Adams – Topalov, 8. Horvath – Johannessen, 9. Nisipeanu – Grischuk, 10. Zvjaginsev – Zhang Pengxiang. Krasenkow: 1. Horvath – Johannessen, 2. Topalov – Aronian, 3. Shirov – Illescas, 4. Kunin – Prosviriakov, 5. Volokitin – Барсов, 6. Zvjaginsev – Zhang Pengxiang, 7. Van Wely – Topalov, 8. 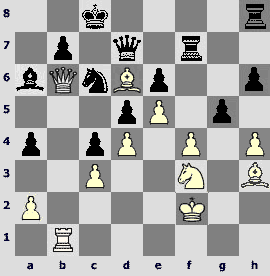 Adams – Topalov, 9. Nisipeanu – Grischuk, 10. Karjakin – Anand. Rublevsky: 1. Rublevsky – Mamedyarov, 2. Svidler – Topalov, 3. Grischuk – Shirov, 4. Topalov – Anand, 5. Shirov – Aronian, 6. Kramnik – Bruzon, 7. Nisipeanu – Grischuk, 8. Morozevich – Корнеев, 9. Van Wely – Topalov, 10. Petrosian – Minasian. Solovjov: 1. Nisipeanu – Grischuk, 2. Van Wely – Topalov, 3. Petrosian – Minasian, 4. Rublevsky – Mamedyarov, 5. Karjakin – Anand, 6. Kunin – Prosviriakov, 7. Bacrot – Aronian, 8. Morozevich – Moiseenko, 9. Mamedyarov – Volkov, 10. Belozerov – Galkin. Najer: 1. Svidler – Topalov, 2. Zvjaginsev – Zhang Pengxiang, 3. Shirov – Illescas, 4. Morozevich – Moiseenko, 5. Ivanchuk – Eljanov, 6. Horvath – Johannessen, 7. Khairullin – Bologan, 8. Topalov – Aronian, 9. Nataf – Vachier-Lagrave, 10. Morozevich – Korneev. Korbut & Kovalevskaya: 1. Karjakin – Anand, 2. Nisipeanu – Grischuk, 3. Svidler – Carlsen, 4. Mamedyarov – Volkov, 5. Topalov – Aronian, 6. Petrosian – Minasian, 7. Grischuk – Shirov, 8. Zvjaginsev – Zhang Pengxiang, 9. Bologan – Korchnoi, 10. Ivanchuk – Eljanov. Potkin: 1. Bacrot – Aronian, 2. Zvjaginsev – Zhang Pengxiang, 3. Svidler – Topalov, 4. Adams – Topalov, 5. Mamedyarov – Volkov, 6. Grischuk – Shirov, 7. Bologan – Korchnoi, 8. Kramnik – Bruzon, 9. Topalov – Aronian, 10. Van Wely – Topalov. Barsov: 1. Volokitin – Morozevich, 2. Nisipeanu – Grischuk, 3. Horvath – Johannessen, 4. Karjakin – Anand, 5. Shirov – Aronian, 6. Zvjaginsev – Zhang Pengxiang, 7. Shirov – Illescas, 8. Гельфанд – Aronian, 9. Трегубов – Мачейя, 10. Kunin – Prosviriakov. Zontakh: 1. Topalov – Aronian, 2. Ivanchuk – Eljanov, 3. Bacrot – Aronian, 4. Zvjaginsev – Zhang Pengxiang, 5. 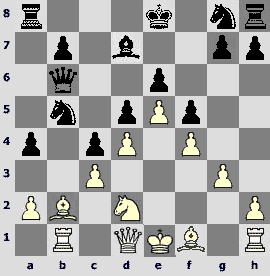 Adams – Topalov, 6. Shirov – Illescas, 7. Karjakin – Anand, 8. Svidler – Topalov, 9. Georgiev – Nisipeanu, 10. Morozevich – Moiseenko. Kobalia: 1. Zvjaginsev – Zhang Pengxiang, 2. Topalov – Aronian, 3. Karjakin – Anand, 4. Georgiev – Nisipeanu, 5. Svidler – Carlsen, 6. Rublevsky – Mamedyarov, 7. Volokitin – Барсов, 8. Kunin – Prosviriakov, 9. Bacrot – Aronian, 10. Morozevich – Shirov. Sakaev: 1. Grischuk – Shirov, 2. Karjakin – Anand, 3. Georgiev – Nisipeanu, 4. Adams – Topalov, 5. Bacrot – Aronian, 6. Svidler – Topalov, 7. Гельфанд – Aronian, 8. Van Wely – Topalov, 9. Bologan – Korchnoi, 10. Morozevich – Korneev. Kosteniuk: 1. Grischuk – Shirov, 2. Bacrot – Aronian, 3. Shirov – Illescas, 4. Zvjaginsev – Zhang Pengxiang, 5. Belozerov – Galkin, 6. Volokitin – Ivanchuk, 7. Shirov – Aronian, 8. Petrosian – Minasian, 9. Mamedyarov – Topalov, 10. Bologan – Korchnoi. Korotylev: 1. Adams – Topalov, 2. Georgiev – Nisipeanu, 3. Topalov – Aronian, 4. Khairullin – Bologan, 5. Topalov – Anand, 6. Svidler – Topalov, 7. Grischuk – Shirov, 8. Ivanchuk – Svidler, 9. Karjakin – Anand, 10. Volokitin – Morozevich. Deviatkin: 1. Karjakin – Anand, 2. 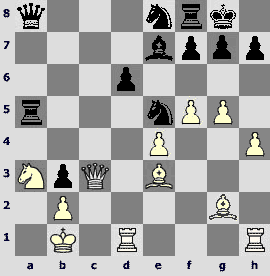 Topalov – Aronian, 3. Grischuk – Shirov, 4. Mamedyarov – Volkov, 5. Shirov – Aronian, 6. Morozevich – Volokitin, 7. Topalov – Anand, 8. Volokitin – Ivanchuk, 9. Petrosian – Minasian, 10. Kramnik – Bruzon. Landa: 1. Mamedyarov – Volkov, 2. Topalov – Aronian, 3. Rublevsky – Mamedyarov, 4. Zvjaginsev – Zhang Pengxiang, 5. Bacrot – Aronian, 6. Svidler – Topalov, 7. Bologan – Korchnoi, 8. Pelletier – Volokitin, 9. Volokitin – Барсов, 10. Petrosian – Minasian. Ivanov: 1. Topalov – Aronian, 2. Bacrot – Aronian, 3. Shirov – Illescas, 4. Georgiev – Nisipeanu, 5. Pelletier – Volokitin, 6. Zvjaginsev – Zhang Pengxiang, 7. Topalov – Anand, 8. Morozevich – Moiseenko, 9. Svidler – Carlsen, 10. Ivanchuk – Eljanov. Glek: 1. Zvjaginsev – Zhang Pengxiang, 2. 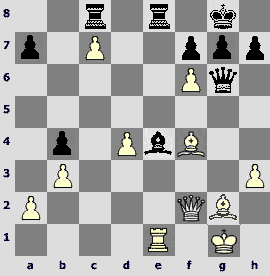 Bologan – Korchnoi, 3. Belozerov – Galkin, 4. Shirov – Illescas, 5. Georgiev – Nisipeanu, 6. Гельфанд – Aronian, 7. Bacrot – Aronian, 8. Kramnik – Bruzon, 9. 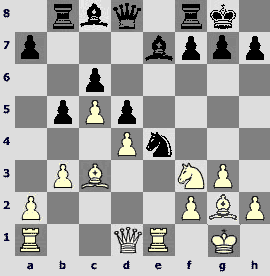 Adams – Topalov, 10. Rublevsky – Mamedyarov. Belov: 1. Topalov – Aronian, 2. Karjakin – Anand, 3. Zvjaginsev – Zhang Pengxiang, 4. Petrosian – Minasian, 5. Svidler – Topalov, 6. Grischuk – Shirov, 7. Mamedyarov – Volkov, 8. 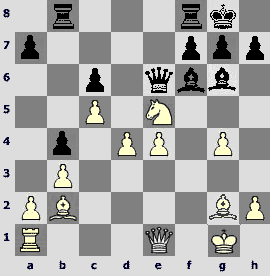 Adams – Topalov, 9. Harikrishna – Mamedyarov, 10. Gelfand – Aronian. Sutovsky: 1. Svidler – Topalov, 2. Zvjaginsev – Zhang Pengxiang, 3. Kramnik – Bruzon, 4. Adams – Topalov, 5. Petrosian – Minasian, 6. Shirov – Illescas, 7. Bacrot – Aronian, 8. Grischuk – Shirov, 9. Belozerov – Galkin, 10. Mamedyarov – Topalov. Nobody succeeded in putting three laureates in the right order. Most close to the solution were Mikhail Kobalia (1. Zvjaginsev – Zhang Pengxiang, 2. Topalov – Aronian, 3. Karjakin – Anand) and vladimir Belov (1. Topalov – Aronian, 2. Karjakin – Anand, 3. Zvjaginsev – Zhang Pengxiang). Curiously, last year Mikhail nearly guessed the top three also. As concerns top ten, Andrey Zontakh was out of competition, his top-list contains 8 'right' games. Nobody guessed 7 games, 6 matches with the final list have Sergey Zagrebelny, Vladimir Belov, Mikhail Kobalia, Alexey Korotylev, Igor Glek, Emil Sutovsky and Konstantin Sakaev. No one expert could reach full discrepancy with his colleagues. Even in most original selections (Sergey Rublevsky, Sergey Solovjov, Vladimir Barskij, Andrei Deviatkin) there are 3 games approved by collective intellect. A step back compared to the last year when corresponding number was 4. But it is not the reason for despairing. Beauty of chess will ever unite people, and aesthetic and pedagogic importance of an excellently played game is non-transient. So, learn and enjoy! 18.¦xe4! A novelty prepared by Bulgarian team is of great strength. In Kramnik – Leko, Dortmund 2004, there was 18.¤e5 ¤xc3 19.Јd3 Јc7 20.Јxc3 ¦e8 21.a4 b4 22.Јf3 Ґf8 23.¦e3 f6 24.¤d3 ¦xe3 25.fxe3 a5, and draw soon. 18...dxe4 19.¤e5 Јd5. Both Veselin Topalov in 'New in Chess' and Sergey Shipov at 'Chesspro' point out that in case of 19...Јc7 20.Ґxe4 Ґb7 21.Јf3 ¦bc8 22.a4 White has great advantage. 20.Јe1! Just there as 20.Јe2 f5 21.f3 Ґxc5 shows. Bishop on c3 must be defended. 20...Ґf5 21.g4 Ґg6 22.f3 b4. Continuation 22...Ґxc5 23.dxc5 Јxc5+ 24.ўh1 exf3 25.Ґxf3 is crucial for evaluating the exchange sacrifice. Topalov says they considered including of 21.g4 Ґg6 (Cheparinov) to be stronger than immediate 21.f3, however, without much detail. 23.fxe4 Јe6 24.Ґb2. Worse is 24.Ґxb4 Ґf6, "and White's pawn structure will be destroyed" (V.T.). 25.¤xc6! Јxc6 26.e5 Јa6 27.exf6 ¦fe8 28.Јf1. In Veselin's opinion, it is more accurate than 28.Јg3 Јxf6 29.¦f1 Јa6 30.d5 Јxa2 31.Ґd4, though White keeps his advantage here too. 29.Јf2! "Another strong move. The essence of the position is in my passed pawns and in control of the "e"-file" (V.T.). "All the pawns except for passed ones are of no importance!" (S.Sh.). In Banikas – A.Sokolov (Greece 2006) White for some reason did not follow the winning receipt by Topalov, exchanged queens and lost at move 82. 29...Јxg4 30.h3 Јg5. On 30...Јh5 it would follow 31.¦e1. 31.Ґc1 Јh5. In case of 31...Јxf6 32.Јxf6 gxf6 33.Ґf4 the pawns are unstoppable. 32.Ґf4 ¦bd8. "From practical point of view 32...¦bc8 is better, but White has clear advantage here too" (V.T.). 33.c6 Ґe4 [33...¦e2 34.c7 ¦c8 35.Јg3 or 35.Јf3] 34.c7 ¦c8 35.¦e1 Јg6. Does not save 35...Ґxg2 36.¦xe8+ ¦xe8 37.Јxg2 g6 38.Јg4! 36.¦xe4! "I did not have to think too long of this second exchange sacrifice on the same e4-square just 18 moves after the first sacrifice on move 18. One's hand makes such moves automatically" (V.T.). 36...¦xe4 37.d5 ¦ce8 38.d6 ¦e1+ 39.ўh2 Јf5 40.Јg3 g6 41.Јg5 Јxg5. "After 41...Јe6 42.d7 Јxd7 43.Јh6 Black will be checkmated" (S.Sh.). 42.Ґxg5 ¦d1 43.Ґc6 ¦e2+ 44.ўg3. Black resigned. 1.e4 e6 2.f4 d5 3.e5 c5 4.¤f3 ¤c6 5.c3 Ґd7 6.¤a3. "With the knight on а3 Vadim is invicible" (S.Shipov). 6...f6 7.g3. Commenting the game in "64" Vadim Zvjaginsev notes that on 7.¤c2 it might follow 7...fxe5 8.fxe5 ¤xe5 9.¤xe5 Јh4+ 10.g3 Јe4+ 11.Јe2 Јxh1. 7...c4 8.b3 Јa5 9.b4 Јb6 10.d4. White needs carefulness here: in case of 10.d3 he must consider 10...¤xb4. 10...a5 11.b5 ¤a7 12.¦b1 f5 13.¤d2 Ґxa3. "In case of13...¤h6 14.Ґg2 ¤f7 Vadim would surely throw the knight into the fire – 15.¤axc4 dxc4 16.a4 – then White would capture the pawn on c4 and press on Black's position with his pawns" (S.Sh). 14.Ґxa3 ¤xb5 15.Ґb2 a4? "A mistake – b4-square is weakened and I use it immediately" (V.Z.). 16.Ґa3 g6 17.g4 (White should not permit h7-h5) 17...Јd8 18.¦xb5 Ґxb5. "More of principle is 18...Јh4+ 19.ўe2 Јxg4+ 20.¤f3 Ґxb5 21.Јb1 Ґc6 22.Јb4 0-0-0 23.ўe3. I was ready to play this position believing that I shall get sufficient compensation for the exchange" (V.Z.). 19.h4 ¤h6 20.gxf5 ¤xf5 21.¤f3 Јd7 22.ўf2 0-0-0 23.Ґh3 h6 24.Јb1 ¦df8?! In Vadim's opinion, Black must reorganize here and on the next move – 24...Ґc6 and b7-b5. 30.¦g1! "Almost every Zvjaginsev of principle importance I would put into a chess textbook. He denies all routine moves resolutely, finds very unexpected and most unpleasant decision for his opponent. In present case he transfers his rook to g6 to attack the pawn on e6" (S.Sh.). 30...¦e8 31.hxg5 hxg5. Zvjaginsev gives a nice variation 31...¦xf4 32.gxh6 Јf7 33.Ґxe6+ ¦xe6 34.¦g8+ ¦e8 35.¦xe8+ ўd7 36.e6+ and offers 31...Јd8 as the most persistent defence, transposing to a better endgame for White. 34.Ґxe6! ¦xe6 35.¤xe6 ¦h3+ 36.ўe2 ¦h8 37.¦g7! ¤xd4+ 38.Јxd4. Black resigned. 1.e4 c5 2.¤f3 d6 3.d4 cxd4 4.¤xd4 ¤f6 5.¤c3 a6 6.Ґe3 e5 7.¤b3 Ґe6 8.f3 Ґe7 9.Јd2 0-0 10.0-0-0 ¤bd7 11.g4 b5 12.g5 b4 13.¤e2 ¤e8 14.f4 a5 15.f5 a4 16.¤bd4 exd4 17.¤xd4 b3 18.ўb1 bxc2+ 19.¤xc2 Ґb3 20.axb3 axb3 21.¤a3 ¤e5 22.h4 ¦a5 23.Јc3. Before this game theory of the line consisted of Leko – Vallejo, Monte-Carlo 2005, where there was no good for White after 23.Јe2. Later they began to employ 23.Јb4 with much better results. 23...Јa8 24.Ґg2. "A brief computer analysis does not allow to see the following combination by Black. One need unhurried, deep analysis..." (S.Shipov). 24...¤c7! 25.Јxc7 ¦c8! 26.Јxe7 ¤c4! After the brilliant sacrifice of two pieces, White cannot escape. 27.g6. At computers' tournament held in Turin parallel to the Olympiad an apparatus named 'LION++', unaware of the last achievements of human genius, repeated simple-heartedly 26 Karjakin's moves and lost to an erudite device "DIEP" after 27.Ґc5 ¦xa3 28.bxa3 ¦xc5 29.Јxd6 ¤xa3+ 30.ўb2 ¤c4+ 31.ўc3 ¤xd6+ and so on. In brief editor's comments in 'New in Chess' they mentioned also 29.a4 ¤a3+ 30.ўb2 ¦c2+! 31.ўxa3 Јb8 winning for Black. 30.gxf7+. The variation 30.Ґd4 ¦a1+! 31.Ґxa1 Јa2# where White is checkmated when having an extra rook and two extra bishops is too beautiful to be fulfilled in a super-GMs game. 30...ўh7 31.f8¤+ ¦xf8 32.Јxf8 ¦a1+. The queen is of no interest to Anand, he sees clear checkmate. 33.ўb2 ¦a2+ 34.ўc3. Or 34.ўxb3 Јa4+ 35.ўc3 ¦c2+ 36.ўd3 Јc4#. 34...Јa5+! 35.ўd3 Јb5+ 36.ўd4 ¦a4+ 37.ўc3 Јc4+. White resigned.